The Feast of Pentecost is traditionally considered the birth of what is today known as the Christian Church. The Descent of the Holy Spirit on the Apostles assembled in the upper room and their subsequent address to those who had gathered outside begins the international and intercultural spread of Christianity. In hierarchy of celebration, Pentecost ranks just below Pascha—the Feast of Feasts. It is locked into its position—fifty days after the Resurrection and ten days after Christ’s Ascension to the Father in Heaven. It is a MOVEABLE FEAST—that is, it does not depend on a specific calendar date like the Nativity, but is solely determined by the date of Pascha. Pentecost is literally FIFTY [from the Greek Pentecoste], the celebration based on the Jewish harvest festival of Shavout which commemorates the gift of the Ten Commandments to Moses on Mount Sinai, fifty days after the Exodus from Israel. 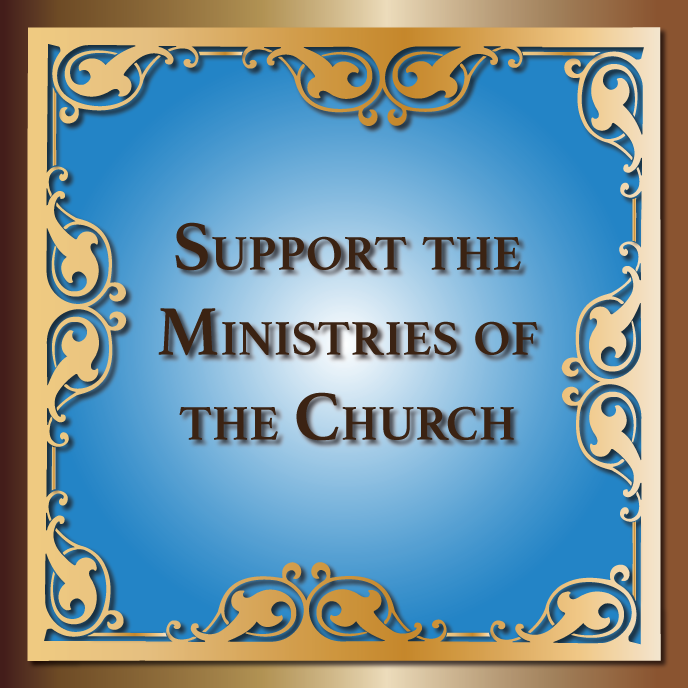 In Christian Tradition, ten days after Christ’s Ascension to Heaven, Jesus sends the Holy Spirit down as His Advocate, Comforter, and Guide to enable the Apostles to continue their mission and evangelization of the world. The Bible details the events of this Shavout celebration in the Book of Acts, Second Chapter, verses one through six, describing how the Apostles assembled to celebrate the Pentecost in the upper room and sat to break bread. The Holy Spirit descended on them in the form of tongues of fire, flashing around them and settling on each of them. He then filled them with Himself—fulfilling the promise of Christ that the Comforter would come and be in them always. When the Apostles left the upper room to address the Jews of Jerusalem who had gathered outside, each of those assembled heard the Apostles speak to them IN THEIR NATIVE LANGUAGE—the Holy Spirit succeeding in translating the words of the disciples into all the languages of those gathered simultaneously! This from a minimally educated group of men who had never traveled outside the immediate surroundings of Israel! After this revelation of the Holy Trinity in fact, they each went off to spread the Good News of Christ’s Resurrection and His opening of the Gates of Salvation to mankind. 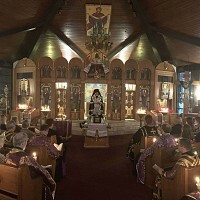 Liturgically, the Feast is celebrated with an All-Night Vigil on Saturday evening, Divine Liturgy on Sunday, and Vespers with a special addition called the “Kneeling Prayers” which begin the Pentecostal reckoning of time—each Sunday is now determined to be the Xth Sunday after Pentecost, continuing until the coming of the Pre-Lenten Sundays of the following year. After Pentecost, the prayers “O Heavenly King” and “We have seen the True Light” are reintroduced to the Liturgy of Saint John Chrysostom—reminding us that the Holy Spirit has come into the world, sent by Christ from the Father. Two icons share importance for the Feast—the traditional depiction of the Descent of the Holy Spirit, with the Holy Theotokos and the Apostles gathered together, a symbolic sun-like representation of the Holy Spirit coming down from Heaven, flames above their heads, and a king-like symbol at the bottom representing the Kosmos—the world. The second icon is that of the Hospitality of Abraham—the three holy angelic figures who appeared to Abraham in the Old Testament. They are symbolic of the Holy Trinity—Father, Son, and Holy Ghost. Many of our parishes, including my own Holy Ghost parish in Slickville, PA, are dedicated to the Most Holy Good and Life-Creating Spirit, and celebrate their name’s day on the Feast of Pentecost.